Pear trees in Texas normally grow north of a line from Corpus Christi to Laredo. They do not do well south of this line because pear trees require a significant amount of winter chill each season to bear fruit. The varieties that grow in Texas are usually resistant to fire blight. You can be sure to find a species that will produce fresh, tasty fruit to your liking. 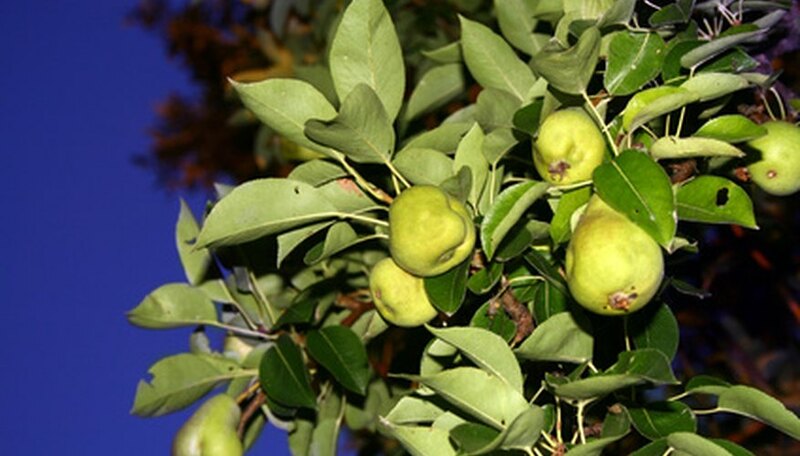 The Warren pear tree grows well in northern, western and central Texas. These pears are resistant to fire blight and frost in temperatures up to -20 degrees F. They grow well in a variety of soils and prefer full sun. Trees will produce fruit within three to five years after planting. The crop is ready for harvest in late August. 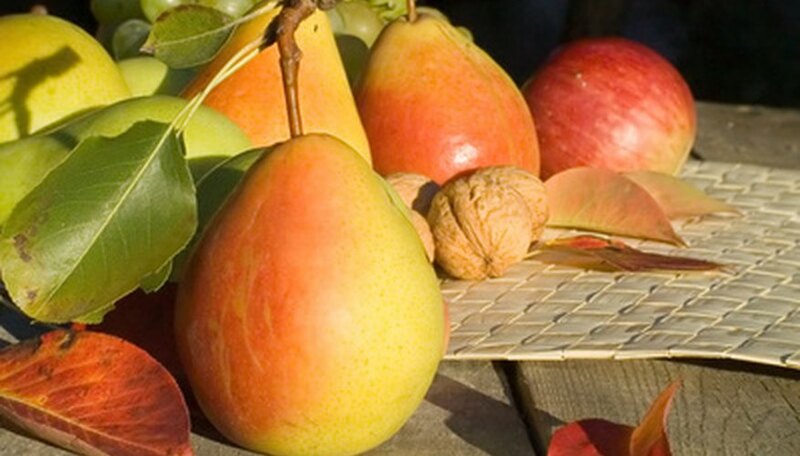 Warren pears are a yellow-green color, medium to large size and have a long neck. 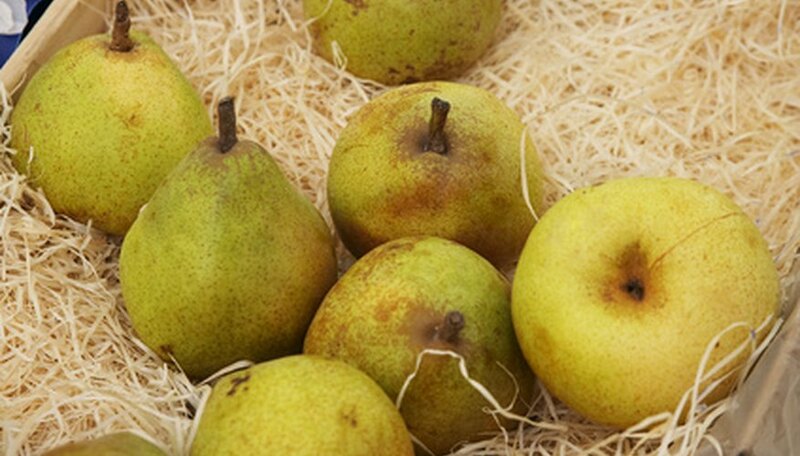 These juicy pears keep well and are good choices for fresh eating or canning. 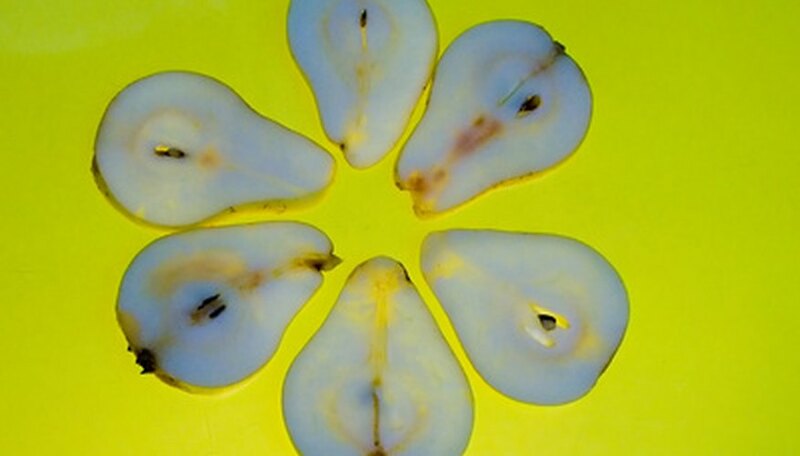 Ayres pear grows in all areas of Texas except for the extreme southern portion of the state. This pear is harvested in August each year. The Ayers pear tree must have another pear tree with which to cross-pollinate. The variety used to pollinate the Ayres pear is not important, as this tree can pollinate with all other varieties of pear tree. The fruit of this tree is a good choice for desserts and canning. These pears will be medium-sized and brownish-red in color. The Ayres pear is known for its resistance to fire blight. Asian pears grow well in most locations in Texas except for the extreme southern section of the state. They will produce fruit in mid-July. Asian pears show a varying resistance to fire bligh, so you should be on the lookout for this disease if you choose to plant this variety. 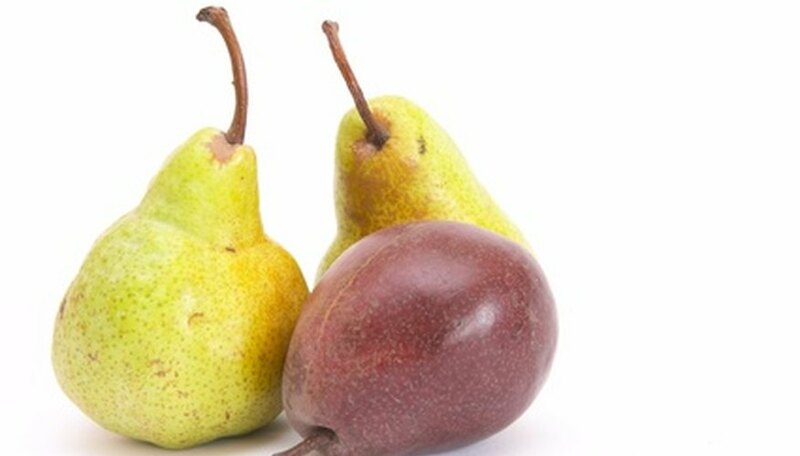 These pears somewhat resemble an apple on the bottom and tend to be more rounded than other varieties of pears. They are a golden yellow color. These fruits will be firm even when ripe, and the fruit will taste better if it ripens on the tree. They are crisp and juicy, which makes them an excellent choice for cooking and baking. The moonglow pear will grow best in northern and western Texas. It may grow up to 15 feet tall at full maturity with a 10- to 12-foot spread. These trees bloom in early spring. The fruit is ready from mid-August through September. These trees are resistant to fire blight, scab and russet disease. It is also a good pollinator for other types of pear trees. The moonglow pear is a large green fruit with a brilliant red blush. The pear is mildly juicy, smooth and sweet. It is often used in baking, canning or eaten fresh from the tree.